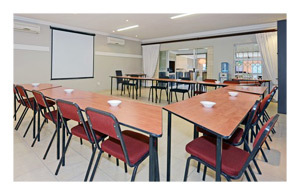 The perfect combination of style, comfort, affordability and quality service, Oaklands Inn is the ideal accommodation for business people, conference attendees & delegates with well-equipped facilities for conferences of up to 80 people. Conveniently located in Randburg with easy access to Randburg Waterfront, Sandton and major airports. 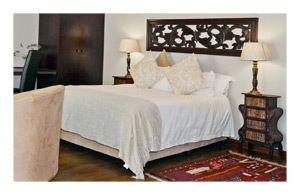 Oaklands Inn and Conference Centre is an Afristay Valued Member. Our accommodation options offer a 'home away from home' atmosphere with a focus on comfort, accessibility, cleanliness and friendly service. We have 4 professional, well-equipped conference rooms and one boardroom, perfect for business meetings, small conferences and training. Click here to book a reservation. Address: 236A Oak Avenue, Ferndale, Randburg, Johannesburg, South Africa. Go to Google maps for directions. The Oaklands Inn shuttle service is available upon request for transport to and from the airport, conferences and tourist sites. More details. Thank you, we look forward to seeing you soon. (+27) 011 781 0862 | info@oaklandsinn.co.za | 236A Oak Avenue, Ferndale, Randburg, Johannesburg, South Africa. Copyright © Oaklands Inn & Conference Centre 2013. Accommodation, Randburg. All rights reserved.